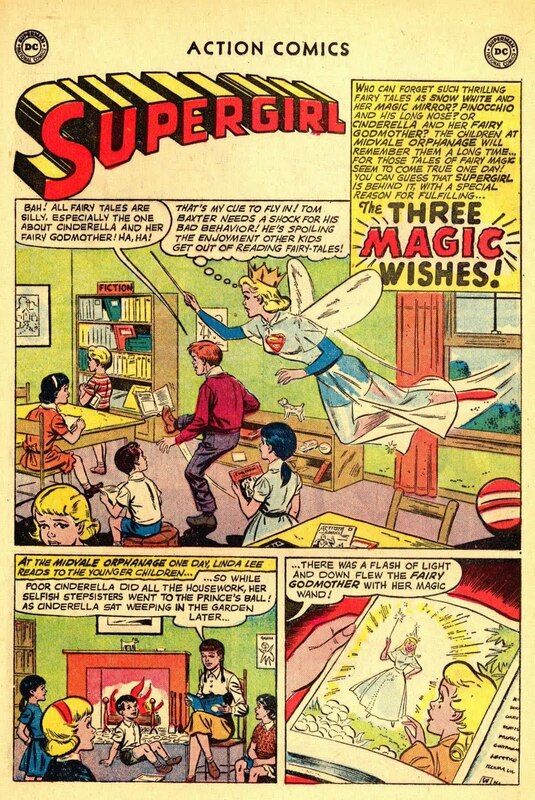 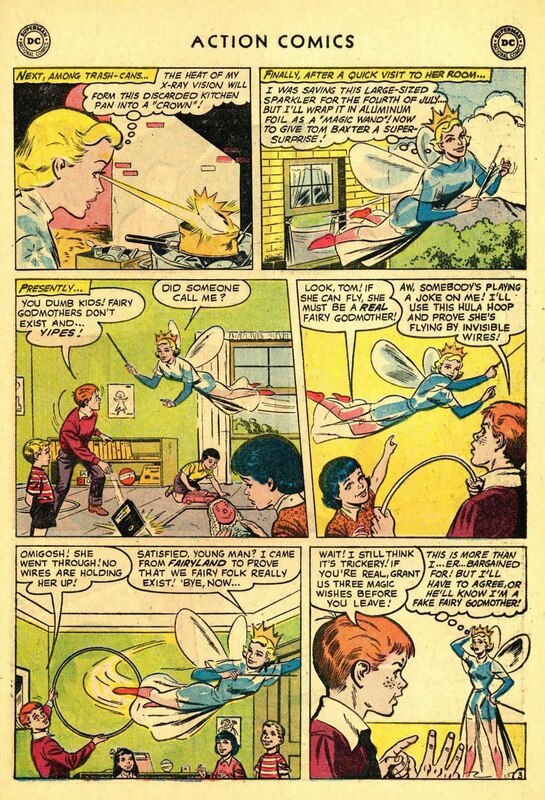 Supergirl: The Maiden of Might: Action Comics #257: "The Three Magic Wishes!" 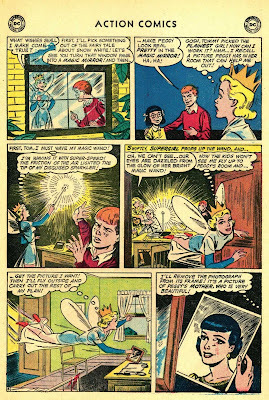 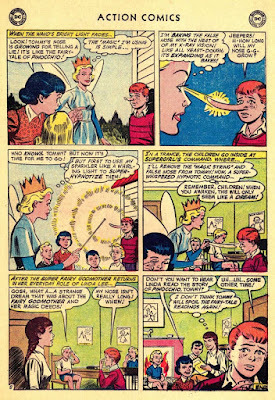 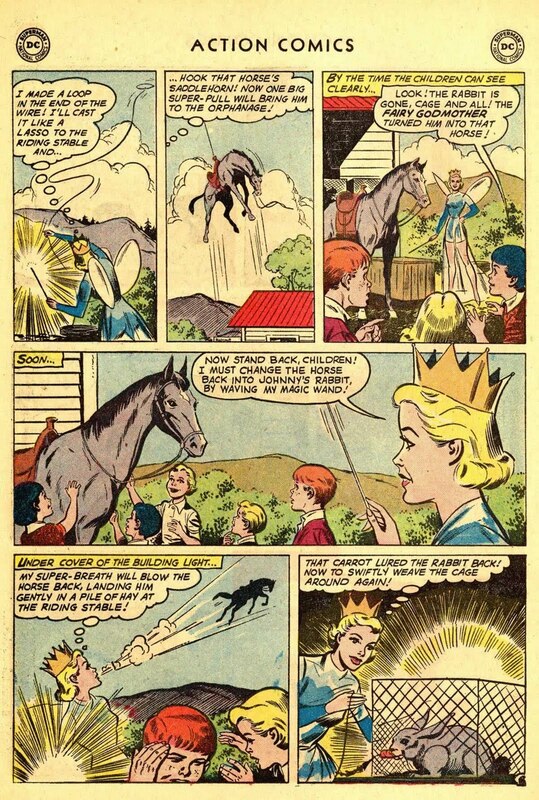 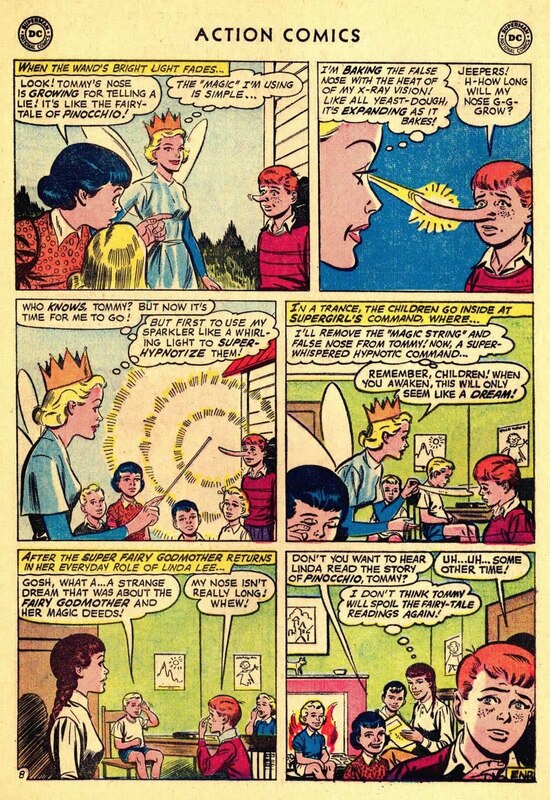 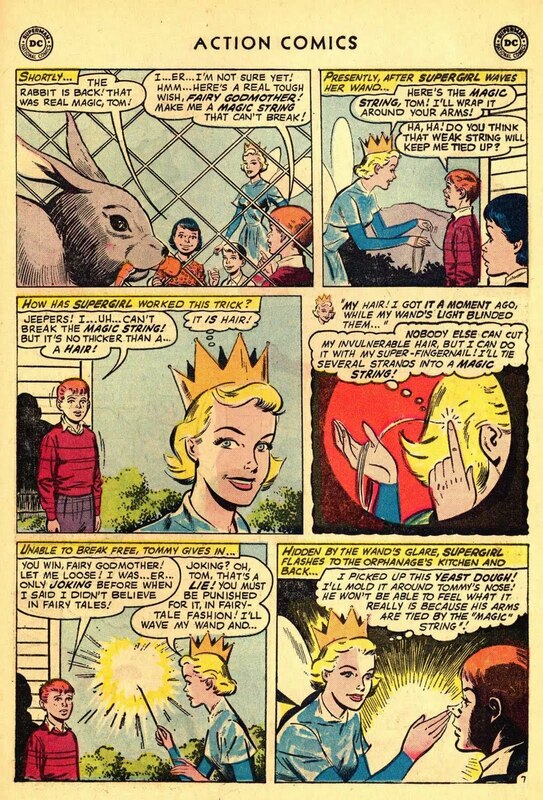 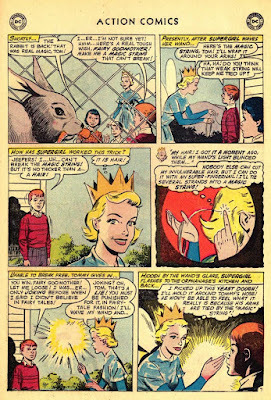 Action Comics #257: "The Three Magic Wishes!" 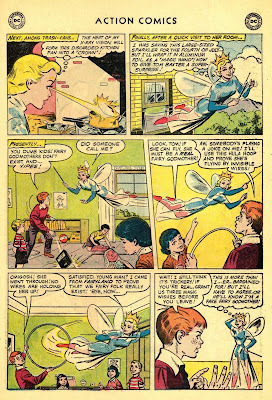 Synopsis: When Timmy Baxter doesn't believe in fairy tales, Supergirl decides to prove him wrong. 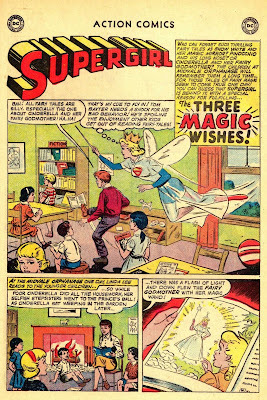 Action Comics #267: "The Three Super-Heroes!" Action Comics #266: "The World's Mightiest Cat!" 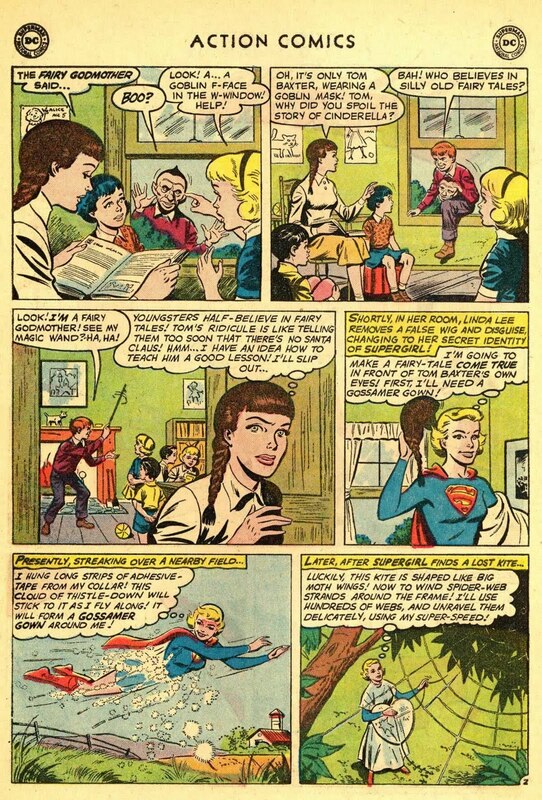 Action Comics #264: "Supergirl Gets Adopted!" 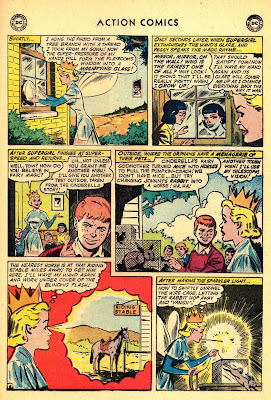 Action Comics #263: "Supergirl's Darkest Day!" 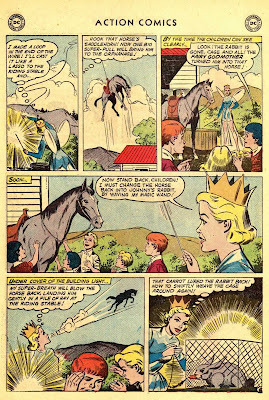 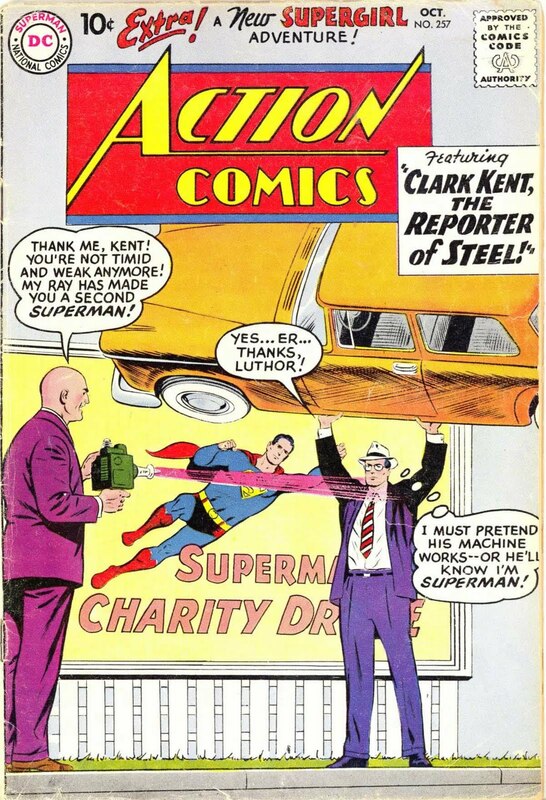 Action Comics #261: "Supergirl's Super Pet!" 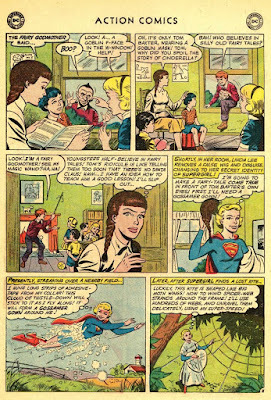 Action Comics #259: "The Cave-Girl of Steel!"